Well the bad news is that a large percentage of IT Projects fail to meet their targets whether its to keep within budget, timescales or to be completed. One of the main reasons for Project failure is inadequate Project Management; many Managers promoted internally, are not equipped for the pressure of making complex and difficult decisions which are necessary in a modern Commercial IT Project. 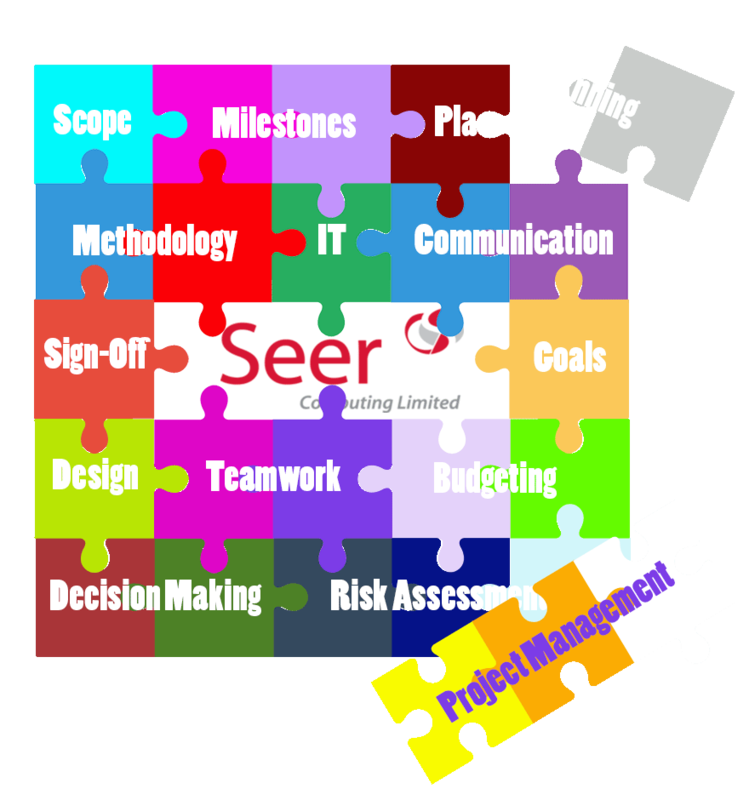 By using Seer Computing's independent Project Manager services, your IT Project will regain focus and momentum, business decisions will be made quickly and decisively without emotion or sentiment. Seer Computing's Project team has extensive and in-depth IT project management experience in many industries and with many different IT applications by managing and participating in high profile, cutting edge projects, specializing in customer based systems with large Databases. What makes a great IT Project Manager ? We build our own Projects, understand large Organisations and their diverse data needs as well as being involved in every aspect of a Project from initial analysis, development, testing and the final sign-off. The Seer Computing Project Management service allows for block booking of time, occasional involvement in the management to full control of the Project. Our Consultants come from private sector environments working with Senior Managers through to the people at the 'bleeding edge' of technology. They are both listeners and talkers and achievers and can help to bridge the gap between customer and developer. Our Project Management solution is incredibly flexible and really depends on the amount of support that you require. Consultants are available for anything from a one day consultation to a full time Project Management role.